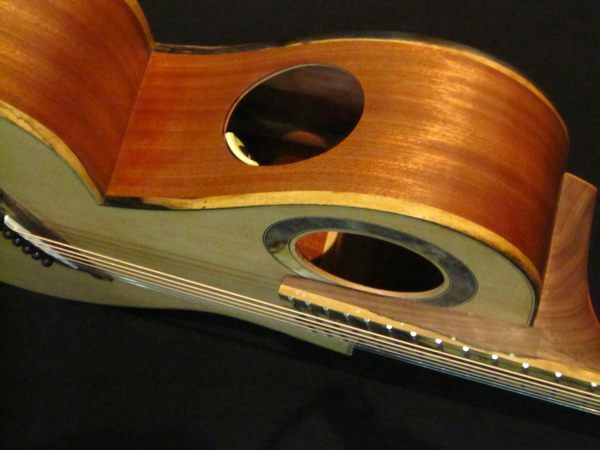 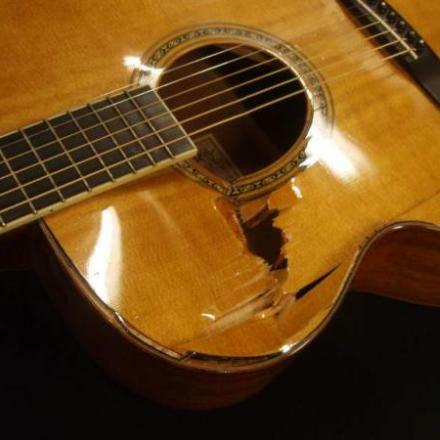 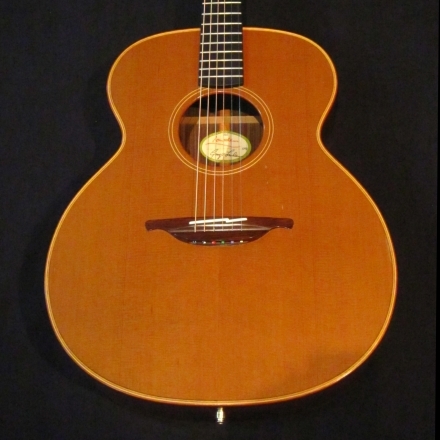 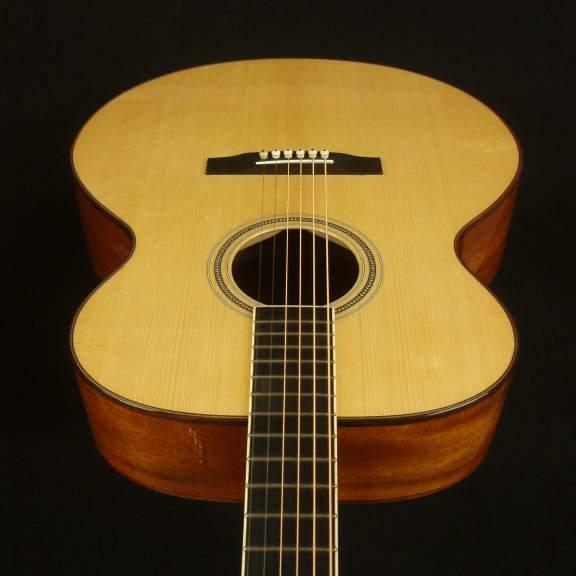 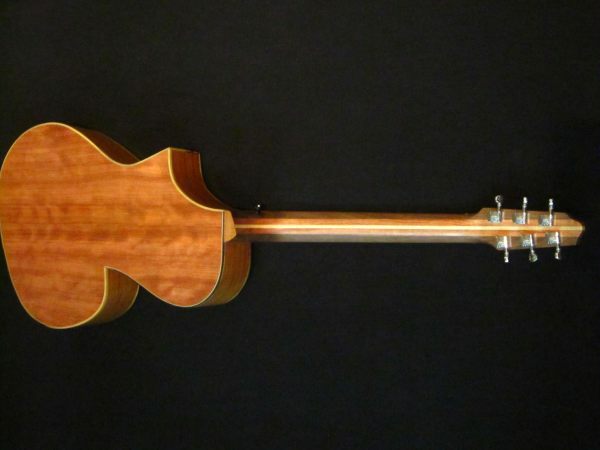 This Larrivee Jumbo-05 met with a tragic accident and is in need of a top replacement. 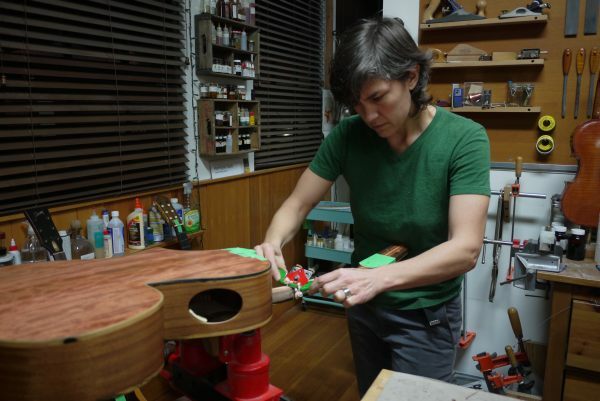 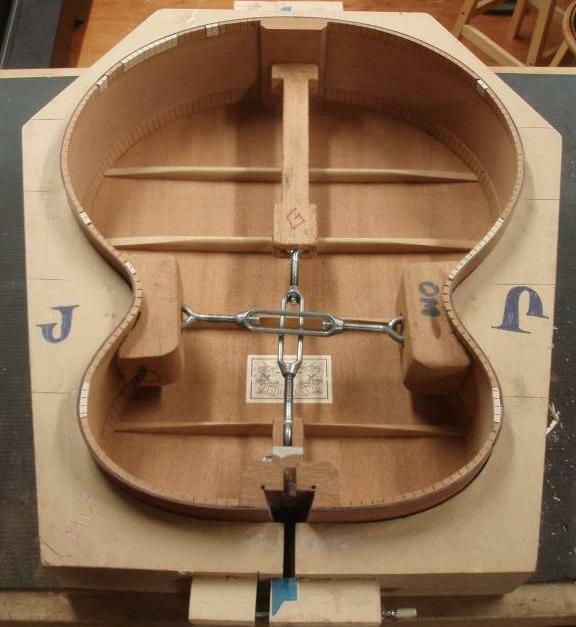 This is a big job that involves a new top with braces and rosette, new binding, a neck reset and refinishing, as well as re-installing the bridge and a set up. 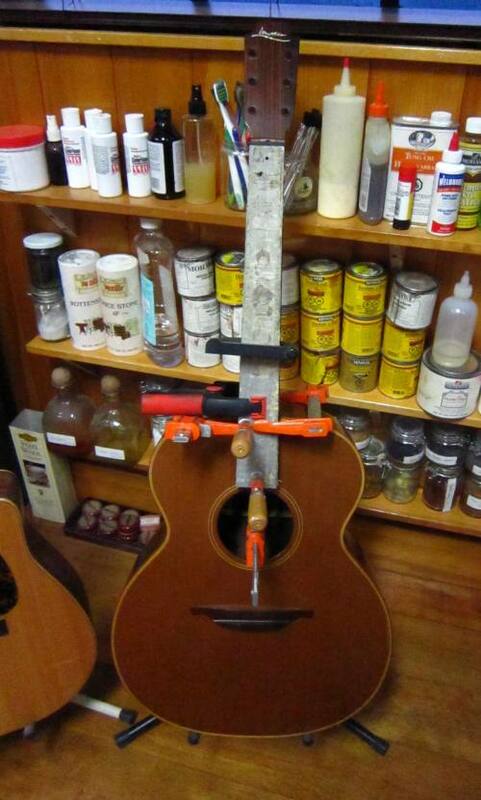 Once done, this guitar had a new lease on life. 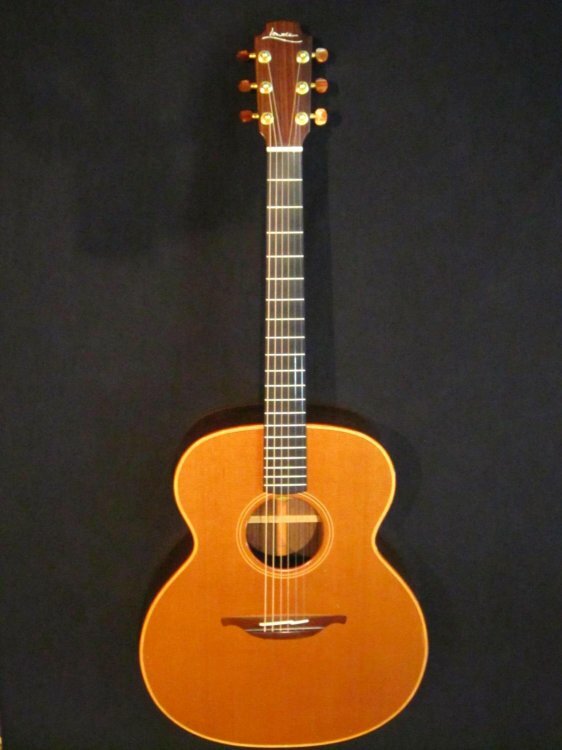 A Lowden O25 came into the shop with high action but no room to lower the saddle into the bridge. 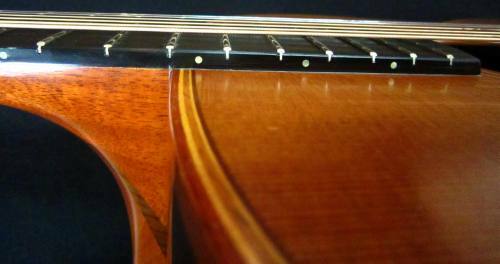 The angle of the strings behind the saddle was a scant 6 degrees, and the projection of the neck was 3mm below the top of the bridge. 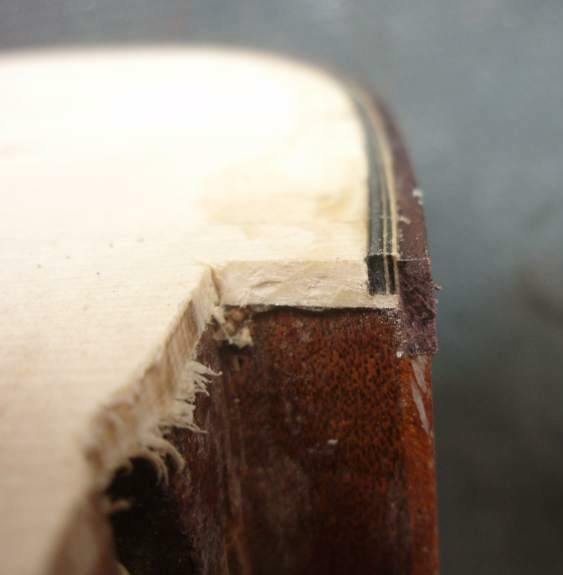 One other major issue was that the intonation was off, way off, meaning that this guitar would not play in tune up and down the neck. 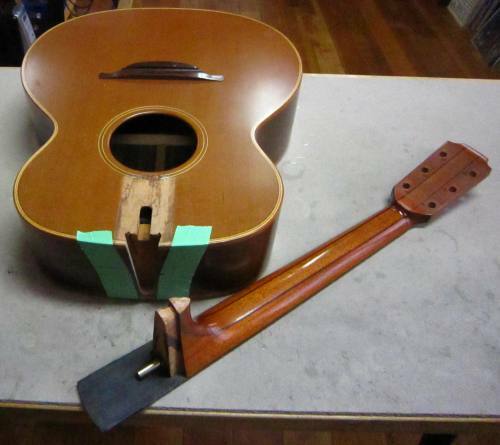 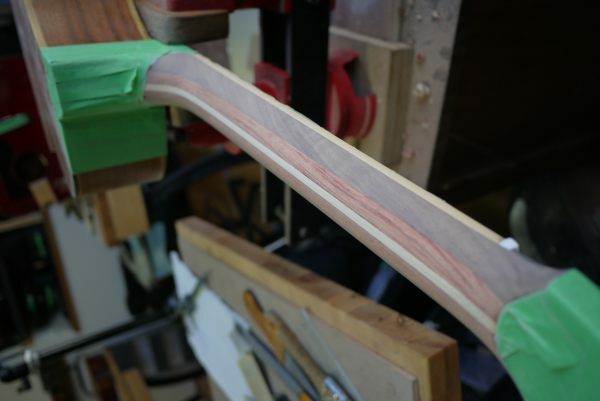 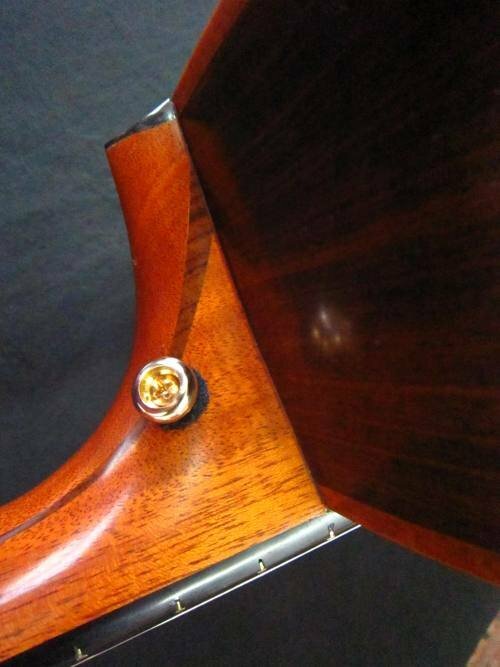 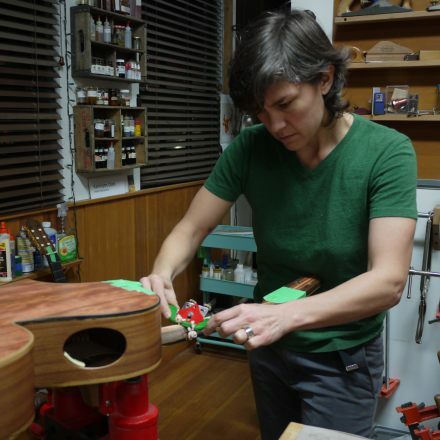 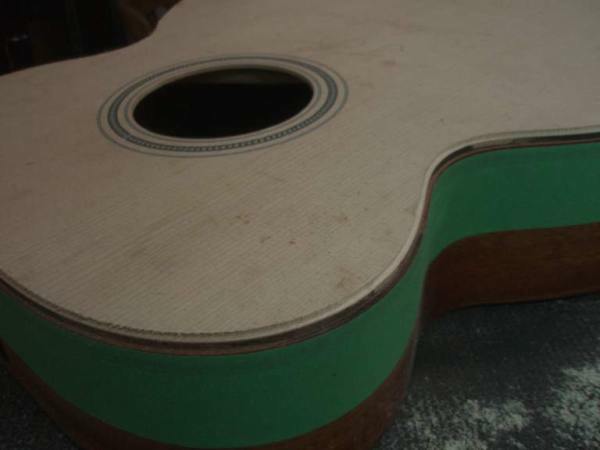 There was only one solution: this Lowden guitar needed a neck reset. 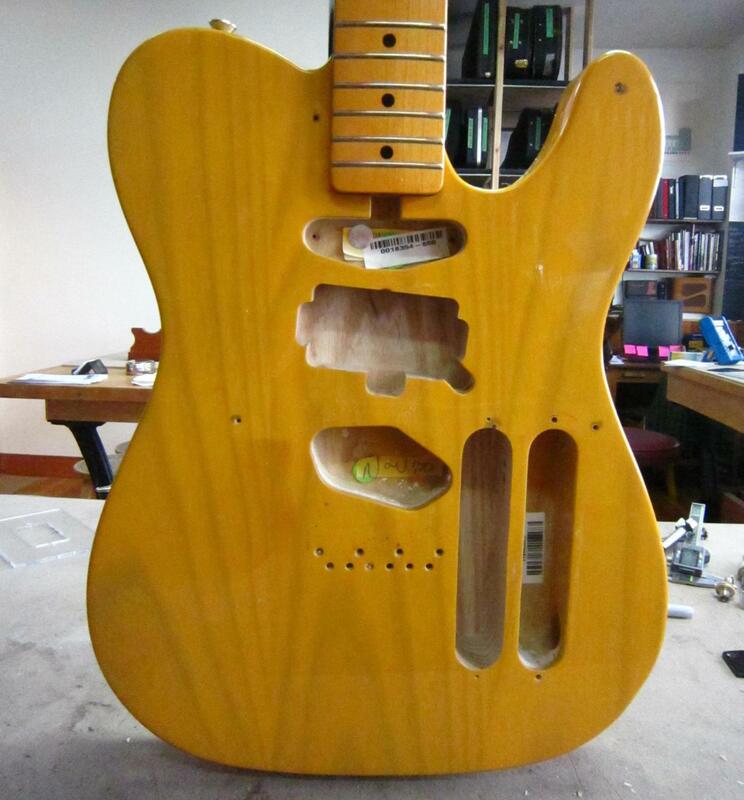 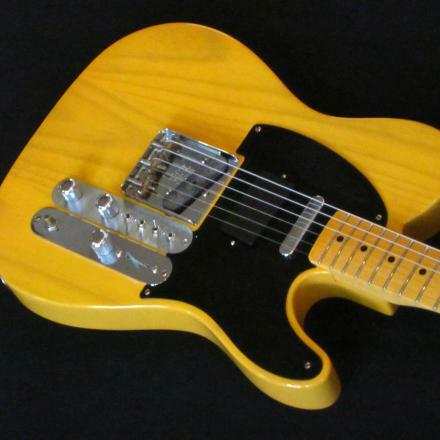 A middle pick up was added to this Tele that has a separate lead for each pole piece, making a pick up for each string. 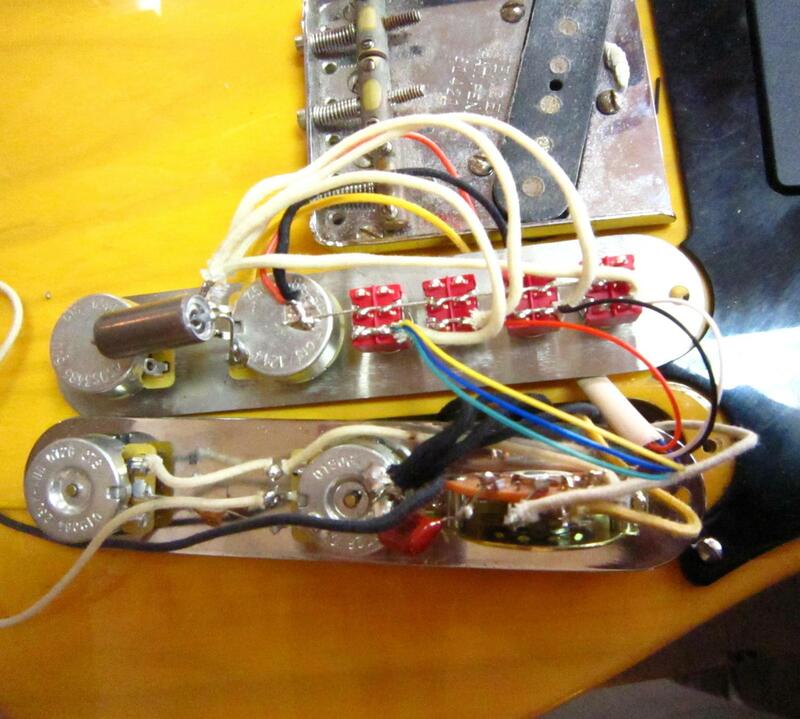 It is wired so you the low E, A, D, and GBE as a combo can be turned off or on. 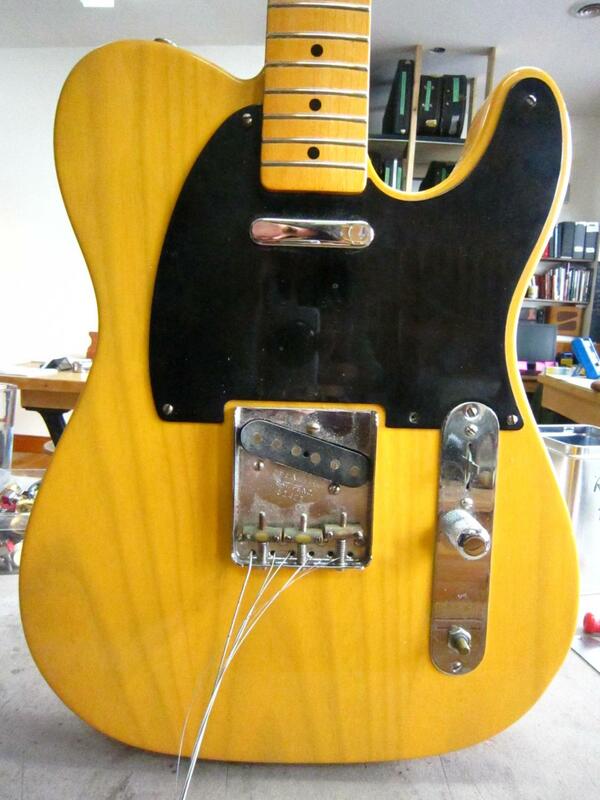 This runs to the stereo output jack where the regular tele sound still goes. 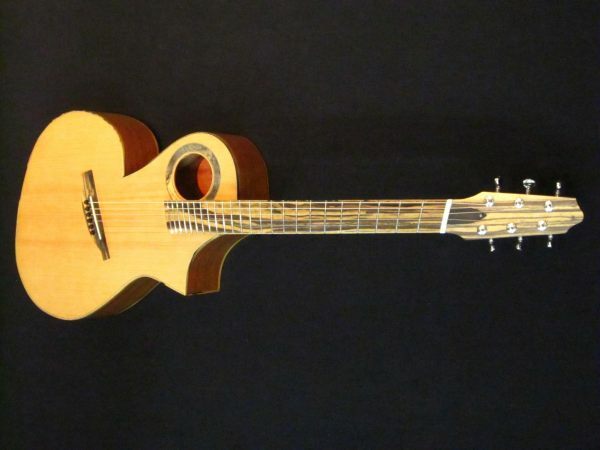 The owner of this guitar uses the bass strings run through an octaver and a separate amp as if he was playing bass and guitar at the same time, which now, he really is! 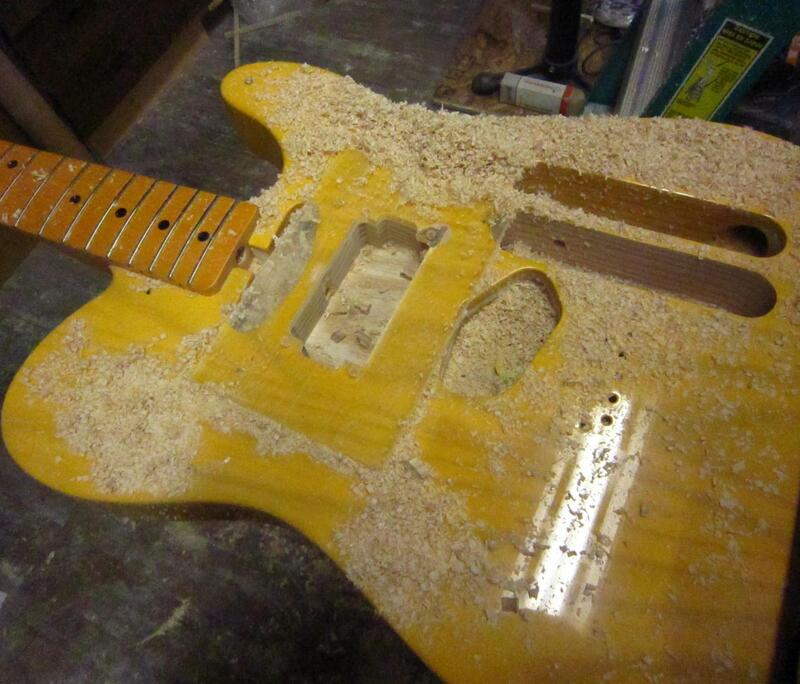 Joe Egan is a creative young builder from Vancouver Island. 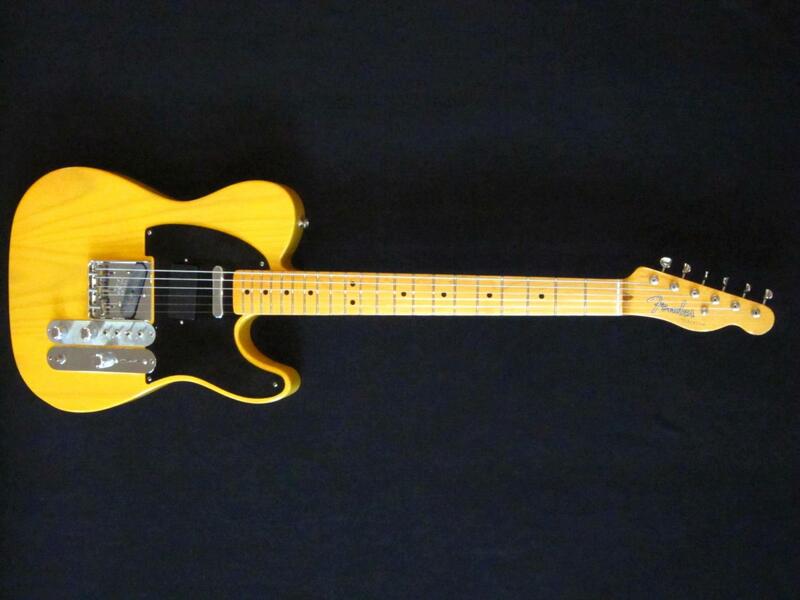 This Bebop guitar is a beauty to behold, but for its owner the neck was too big to hold comfortably. 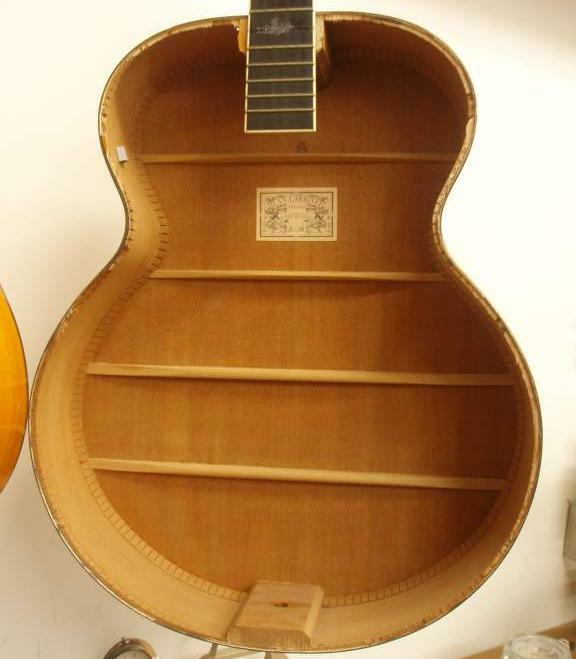 He loved the sound and look of this guitar, but was having trouble getting through a set without hand fatigue. 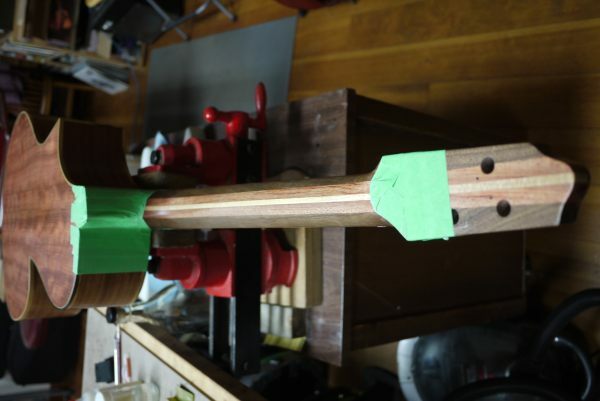 So it was decided that the neck would be carved to match another neck that he already loved the feel of. 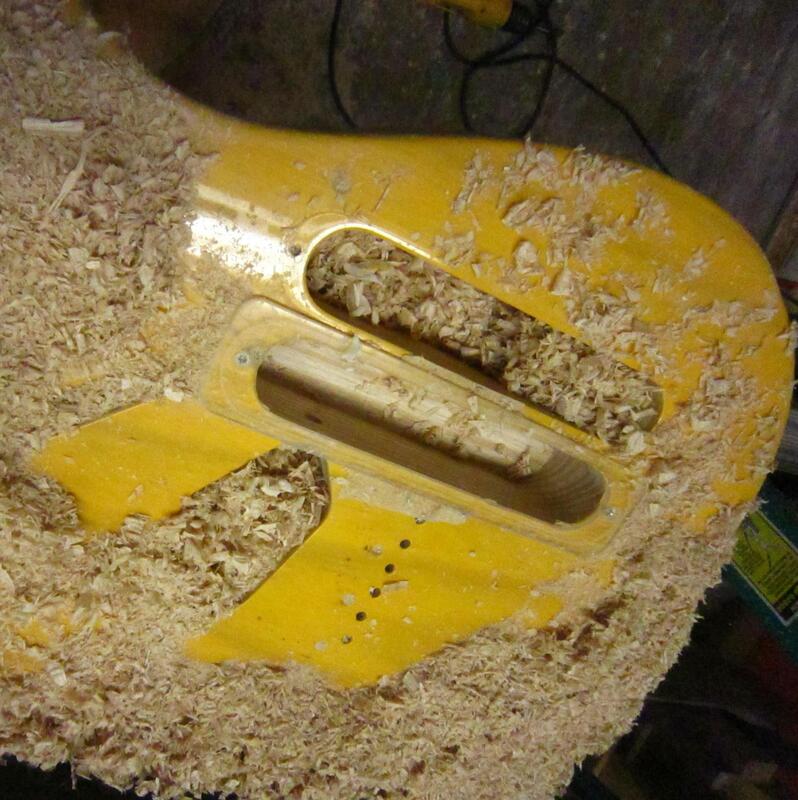 The results were exactly what he was looking for, now it looked, sounded and felt great!